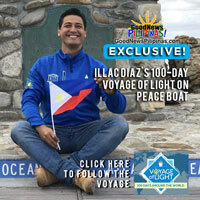 Filipino innovator Illac Diaz of Liter of Light is leading a mission to light up the world’s remote villages through the 100-day journey at sea on the Peace Boat. The Filipino innovation of Liter of Light upcycles soda liter bottles to harness solar power and provide lighting to homes and roads. The open source Filipino technology is being taught by Diaz and his team to anyone interested in creating the solar lamps. Diaz’s 3-member Liter of Light team went on board the Peace Boat in Japan on December 26 to start the 100 days journey to 19 ports around the world. The group reports their number has grown to 200 volunteers on the Peace Boat creating the solar lamps. The journey, dubbed as the Voyage of Light, will stop at ports in Asia Pacific, Africa, and South America. 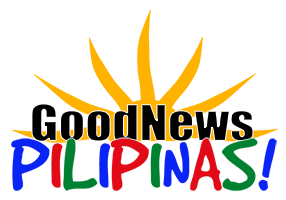 The Filipino NGO’s partnership with Japanese organization Peace Boat is backed by the United Nations in promoting the Sustainable Development Goals (SDG). 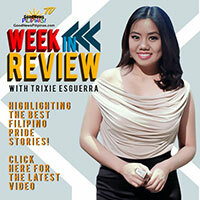 “Our vision is to create a documentary and impact tour where you can honestly say that the Philippines was able to make a global impact,” said Diaz, executive director of Liter of Light in a government report. Diaz said the cruise is the first Filipino global campaign under the SDG, with the Liter of Light focusing on renewable energy. It is also the first time an action partner is onboard the Peace Boat for a whole three-month long advocacy trip. “This is the first time that they partnered with an NGO to do a global impact tour. We are the only action partner (onboard) so we will work with the people on the ship to build lights then transfer the technology to people on the ground,” Diaz shared. Two of the group’s products are the “house lamp,” made with an 8-watt solar panel and the “bottle light” made from recycled 1.5 bottle filled with water and an adequate amount of bleach to prevent growth of algae. The bottle of light, which functions as a deck prism, replaces the common 60-watt incandescent bulb and can light up a room up to 50 square meters during daytime. Illac Diaz and his Liter of Light on the Peace Boat will stop at ports in Madagascar, South Africa, Brazil, and Patagonia to bring the solar lights to communities.